According to the new market research report by IndustryArc titled “Elastomers Market: By Type of Plastics (Thermosetting and Thermoplastics); By Vehicle Type (Passenger and Commercial); By Application (Automotive, Consumer Goods, Consumer Electronics and Others); & By Geography – Forecast (2018-2023)”, the market is expected to grow at a CAGR of 5.28% to generate a revenue of $90.3billion by 2023. Growing reliability, safety, and environmental friendliness of fluoroelastomers will increase their use in the oil & gas industries, which will spur the growth of the market. Asia Pacific continues to lead the Elastomers Market and this growth is due to the increasing automotive and manufacturing industry in the region with China, India, and Thailand performing significantly. Footwear is the third largest sector in the Asia Pacific Elastomers Market. The transformation from mechanical equipment to electrical devices like motors and transformers in factories will increase the productivity and enhances the growth of elastomer molds. The APAC Elastomer market is expected to reach $57.31 Billion by 2023 at a CAGR of 6.35%. There is a strong growth estimated for Polyurethane (PU) Elastomers in the American and European regions during the forecast period. 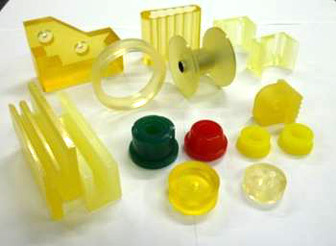 Elastomers have unique properties such as toughness, strength, flexibility strength, abrasion resistance, and shock absorbency. Hence, they are used to adjust the nature of raw materials. In the Americas, the automotive and industrial manufacturing industry make use of Elastomers to a large extent. Manufacturing of automobile parts in Mexico enhances the demand for Ethylene Propylene Elastomer in the region. The U.S. holds a major share in fluorocarbon Elastomers due to a high scale of production and construction activities, followed by Canada. USP specifications cover blood and body fluid compatibility/contact applications. USP tests are designed to provide information on the biological effects of polymer materials used in containers. There are six classes into which a polymer may be placed, depending on its performance in specific USP biological tests. Each increasing class number, from I to IV, requires that a polymer be subjected to additional tests, with each level using more extraction vehicles than the previous class. There is also a range of increasingly higher extraction temperatures which may be selected to further characterize the material. Underwriters Laboratories is an independent, not-for-profit product safety and testing certification organization based in the U.S. Common tests are UL-94 (vertical and horizontal burn test further categorized under HB, V0, V1, or V2), VTM (thin film burn test) and VW (vertical wire burn test). Typical applications covered by UL specifications include hand-held electronics, business machines, and appliances. Certain US military and non-military applications may require military specifications. Such specifications include areas such as fungal growth, dimensional stability, and many other material properties. In the TPE world, applications requiring military specs include umbilical cables, field-use flexible cords, underground cable, and ship-to-shore cable. CSA is the principle Canadian standards body that sets performance criteria and test methods in certain applications. This is a body similar to that of ASTM, UL, DOT, FDA, and MIL in the United States. Increasing demand for light weighted automotive components pushes elastomers production. This leads to the development of lightweight and fuel-efficient engines, with reduced noise. Elastomers are used as a substitute to metals. This factor is slated to create a surging demand for these products in the coming years. Elastomers are used to make O-rings, water seals, and puncture resistant fill. The ease with which these materials are molded, along with its lightweight and durability features makes them useful in important applications. Replacing fossil-based feedstock with bio-renewable sources produces a sustainable environment. This drives the demand for Nitrile elastomer. Elastomers are used in many types of footwear, ranging from sports to fashion shoes. They do not spoil the design potential. Dow Chemical Company provides crop protection, seed/plant biotechnology products, and urban pest management solutions. It even delivers products like architectural and industrial coatings. Covestro AG prepares high-performance plastics and manufactures polymers. It markets its products to industries like automotive, construction, health, and electronics. Huntsman Corporation serves end-user industries like transportation, construction, home life, energy, and fuels.